Calling all book clubbers! 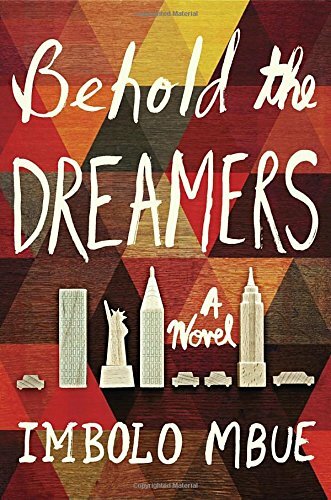 Behold the Dreamers is a book you won't want to read without friends to discuss it with. Pour the wine and pop the popcorn, because you will want to pick apart every decision these characters make. Jende and his wife Neni have worked harder than most of us can imagine to emigrate from their native Cameroon and build a life in America. When Jende is hired as a chauffeur for an executive at a massive financial firm, their dreams seem to have finally found solid footing, especially when Neni is invited to work for the executive's wife on a temporary basis. However, it's impossible for Jende and Neni to work for their new employers without getting involved in their lives. They see and hear everything. They're privy to secrets both personal and professional, and despite their wealth, their employers' private lives are not always pretty. Further thickening the plot are Jende and Neni's own struggles to remain in the country legally. How far would you go to build the life you've always dreamed of? Are some bad choices excusable depending on the circumstances? I suspect there will be many differing opinions on this score, as even Jende and Neni don't always see eye to eye on it. I loved all the questions this book brought to my mind, but I have to admit, I wished for an ending with a little more impact. It's a minor quibble, though, when the surprises and twists were so effective. With regards to Random House and Goodreads for the advance copy, which I was lucky enough to win in a recent giveaway. On sale August 23! I didn’t expect to like this book. To begin with, I knew nothing about the 1999 WTO protest in Seattle around which the novel centers. (Literally, nothing. As in, I can’t believe I was alive when this happened, because I have never heard of it ever in my life.) 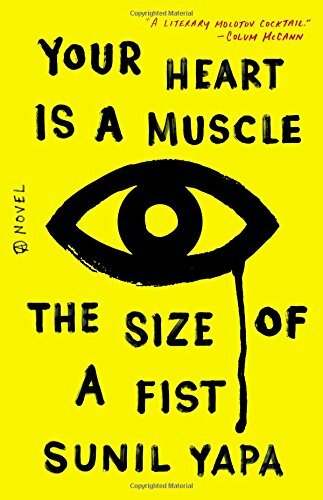 Then came an unflattering-bordering-on-mean review from NPR, and I was regretting placing my library hold. However, I decided to give debut author Sunil Yapa a grudging 50 pages to impress me. I promised myself I could stop after those 50 pages if I wasn’t sold. Then I finished it in two days. You can trust NPR as an objective news source, but when it comes to taste in books and movies, those granola-chomping hippies don’t know what they’re freaking talking about. Because this book is GREAT. The only reason it might not be on every single Best of 2016 list is because it was published in the second week of January, and book critics aren’t famous for their long memories. The prose is gorgeous. Rhythmic, lush, mesmerizing. Yapa’s style helps to create meaning instead of fighting against it—something I’ve seen too rarely lately in my literary fiction reading. And the wide-ranging cast of characters—each fully realized, despite their number. Suspenseful—gut-wrenching—redemptive—I realize I’m just blurting single words now. Just read it, please. See if you can stop after 50 pages.